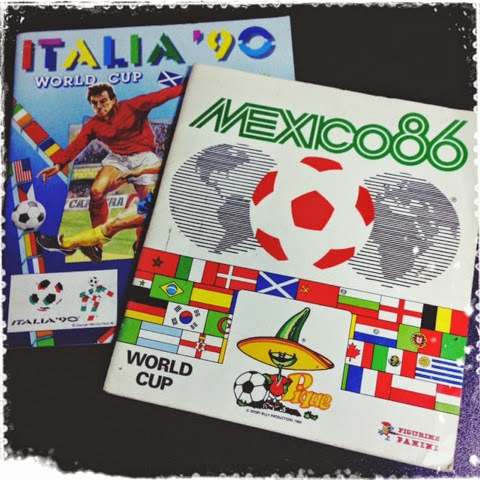 I found my old World Cup Mexico'86 and Italia'90 Panini sticker albums! Mexico is complete but Italia missing a few stickers. I haven't bought anymore after these, not even this year's. Quite nostalgic looking through them and seeing familiar names, many of whom are managers now. They look so young then! That was the World Cup where he scored the "Hand of God" goal haha!